All Cure Total is available in two kit sizes. 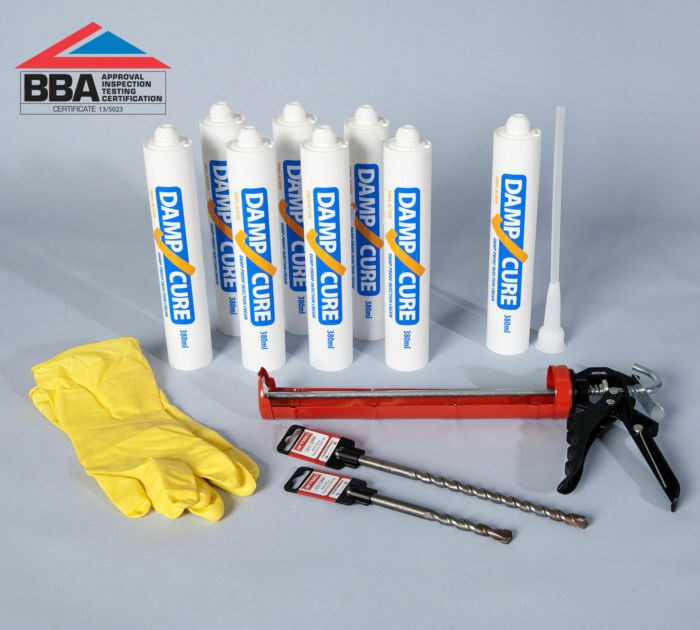 The smaller kit includes 3 damp injection cream cartridges for curing rising damp in walls and the standard kit 6 cartridges. This is sufficient Damp-Cure cream for the treatment of 5 or 10 linear metres of either 215mm thick solid wall or traditional cavity brickwork. For an effective chemical damp proof course simply follow our damp proofing guide. The kits also include a 1m high mesh membrane in a length of either 5m or 10m complete with 80 or 160 fixing plugs. 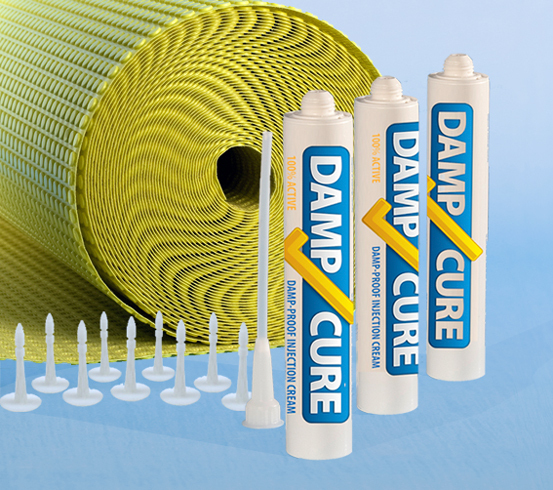 This damp proofing membrane has 3mm air-gap studs and provides a physical barrier to protect plastered finishes from penetrating damp caused by blocked cavities or high pavements. 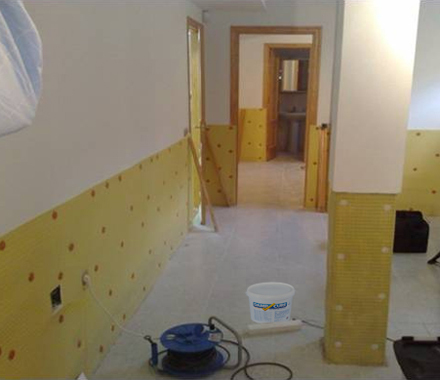 The damp proof membrane incorporates a nylon mesh on one face that permits the direct application of plaster or the use of dot and dab dry-lining to deliver a warmer wall surface that will better resist the onset of condensation.